Xiaomi is set to announce its next flagship smartphone which will be the successor to last year's Mi 6. 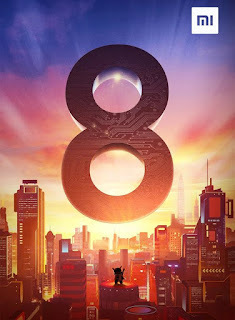 The device would however be known as the Mi 8 instead of the Mi 7 as the company has decided to skip the "7" in favour of its upcming 8th anniversary event. After numerous rumoured dates from different sources, Xiaomi has finally announced the official date of the launch event via its Twitter handle. The upcoming Xiaomi Mi 8 as well as the new MIUI 10 will both be announced on the 31st of May 2018. The Mi 8 is expected to launch in China first at a rumoured starting price of 2,799 yuan which is about $440, but the smartphone will eventually make it to other parts of Asia like Indian and some European countries like Spain, France, Germany and many others. Those in the United States might not get the Xiaomi Mi 8 officially as Xiaomi is yet to make an official presence in the country.